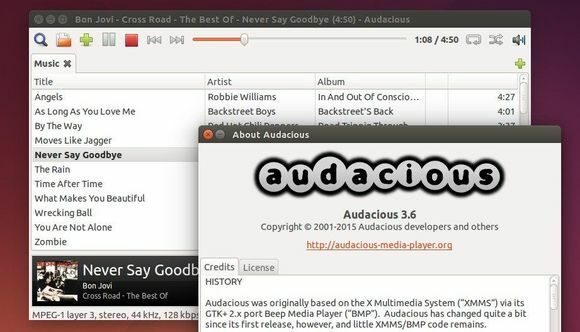 Audacious player, a descendant of XMMS, has reached the 3.6 release at the end of February, which brings the new Qt-based user interface. 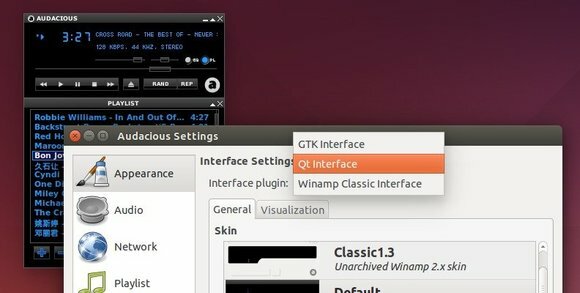 This Qt 5 based UI can be installed alongside the existing GTK+ and Winamp Classic interfaces. But is not yet as feature-rich as the existing interfaces, it will be the basis of a Mac OS X port of Audacious. Audacious 3.6 switches back to GTK2 by default. It can still be built with GTK3 if desired, but GTK2 is recommended for any desktop environment other than GNOME 3. The source code has been converted from C99 to C++11. It is now possible to sort a playlist by genre. Webupd8 Team is maintaining a PPA with audacious packages for Ubuntu users, but the 3.6 release is not included at the moment (Check out the PPA page).